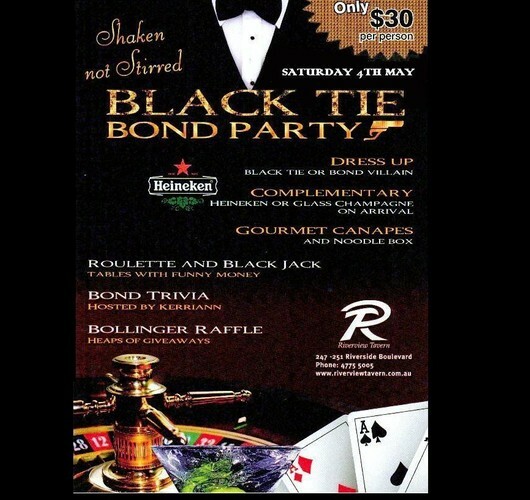 Come along and dress up in your finest Black Tie Attire or dress up as a Bond Villain. Gourmet Canape's on arrival, Heineken or Champagne on arrival. Bollinger raffle, Roulette Wheel and Black Jack table with funny money. Bond Trivia hosted by Kerriann.